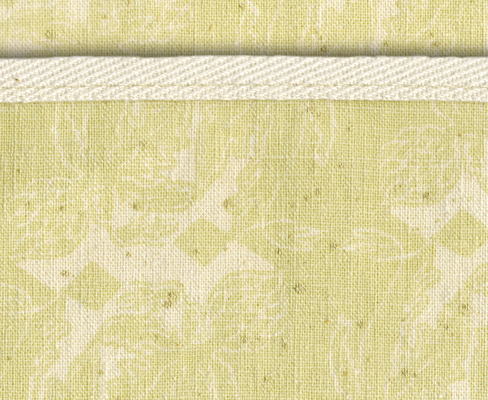 A natural, nubby weave of hemp and cotton with an overall stylized artichoke print in natural and very pale chartreuse. Gold toned spatter dots. Natural 100% cotton handles and edging. Solid brass rings.